She was 22 and going into her fourth year of college when the unexpected happened. She didn’t have school fees to start that semester and had to drop out. Three months down the line, she got pregnant. “I became homeless to the point that one night I slept outside a shop. I didn’t have support and I was struggling. I was emotionally and physically abused in my relationship; and I was hopeless. I would stay with friends for a few days or weeks and then I was back to being homeless. After a few months, God brought around me people that stood by me,” explains 26-year-old Charity Stephens. Ultimately, she got a good job with There is Hope Malawi, and her life took a meaningful turn. 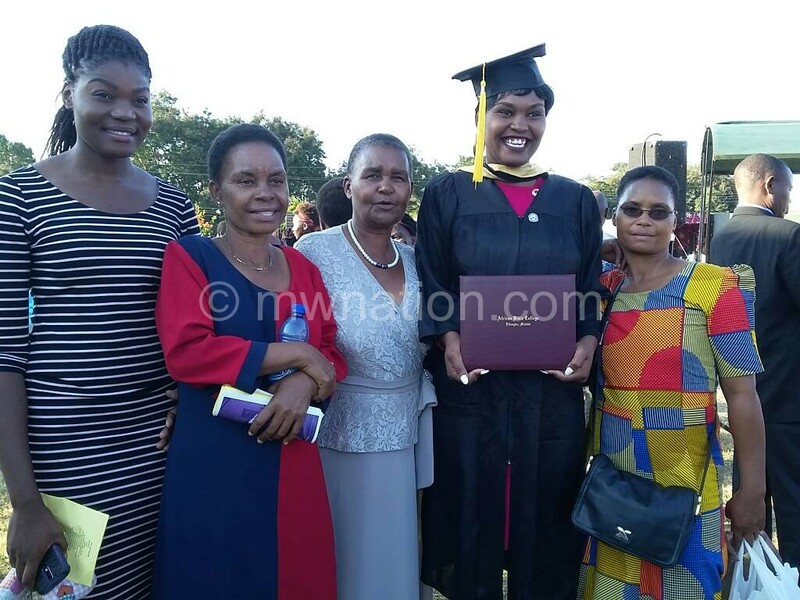 She then went back to school; and after three years of being a college dropout she graduated with a degree in Mass Communications at African Bible College in Lilongwe last year in June. “It took me seven years to get my degree, but God is faithful,” she says. Her own experiences made her realise that there are a lot more girls like her struggling out there. “Society really doesn’t help when a young girl is pregnant out of wedlock. These girls are labelled as loose, they are chased from their homes and most are forced into marriages. They are left to fend for themselves,” she reveals. That experience is what led to her establishing New Beginnings, a non-governmental organisation (NGO) that serves to be a positive voice to girls who need a second chance at life, girls whose identities have changed because they got pregnant. “We are here to remind them that being a young mother is not the end of the world, but just a different chapter. We want them to know they are just as intelligent and as capable as everyone else and are loved by God. For those who were abused and ended up in this situation, we want them to find forgiveness and healing,” says Charity. According to her, New Beginnings has brought hope to 17 girls and awakened dreams they thought they lost because of the situation they found themselves in. She says: “It has given them a platform to rediscover themselves and what God wants them to be, as well as an opportunity to not just be referred to as someone’s baby mama, but rather a student, a business woman and so forth. Also, these girls now know that rushing into marriage is not the solution. Among other things, New Beginnings empowers its beneficiaries through psycho social support and education. “Women face a lot of pain and abuse just because they are born women. They are disregarded, looked down upon and never really appreciated. So, by empowering them, we are helping them realise that they are just as important and as capable as a man. “We are telling them to stand up for themselves and not to allow a man walk all over them. We also want them to realise that it’s not weakness to talk about their pain and to address any form of abuse thrown at them,” she adds. 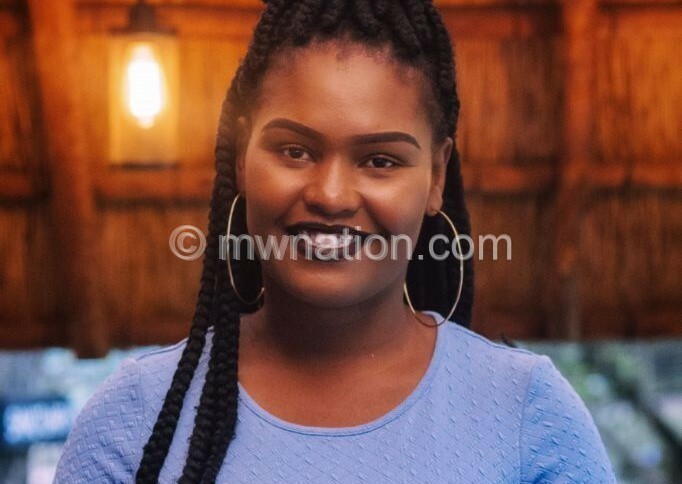 Born in Mangochi on February 15 1992, Charity is a single mother to three-year-old Nthanda Khloe who turns four in July. She has two older sisters, Caroline and Moyna. She comes from Mangunda in Thyolo. The young mother who grew up mostly in Malawi, but has also lived in Uganda, founded New Beginnings in March 2017 as a place of healing and hope for expectant women and young mothers who need support. Situated at Area 25 in Lilongwe, the organisation currently has girls from Kauma and Kudoko villages, but also a few from other areas around Lilongwe. They offer girls an opportunity to go back to school after they have had their child, whether that child is alive or not. “For those who have been out of school for too long, we help them join vocational training centres to learn a particular skill so they can start a small business or find employment and be financially stable for their parenting needs. New Beginnings also offers temporary refuge for girls that need to leave an abusive partner, guardian or those who want to get out of a marriage, but can’t because they have nowhere to go. “If you ask most of the young girls why they got married, they will tell you their parents sent them packing and that to avoid being homeless and poor, they got married just to be in someone’s care. New Beginnings wants to end child marriages by offering these girls a place to live with their child; a place where they are safe and provided for as they pursue a meaningful life,” she says. Among the challenges they face, funding to carry out their programming has been the biggest. “It is not easy to convince people to buy in on your dreams. Apart from that, misconceptions about why we do what we do pose another challenge. We are not here to encourage girls to get pregnant because we will support them. We are here to give them a second chance at life when everyone else has given up on them. That is why we have rules on how one can get into our programmes to ensure that people know we are helping those who actually need the help,” she says. Furthermore, Charity notes that at times, the girls they help seem not to grasp the value of them being empowered. “They are stuck with the mindset that they must find a man to provide for them and help take care of the child,” she says. Currently New Beginnings has 10 girls resident at the organisation and seven non-resident. They pay fees for two girls in secondary school and have one pursuing an agri-business course and two that are doing tailoring classes. Three other girls are going back to school in September, while two will start vocational training in July. In addition, there are few other girls who only come for meetings and to access psycho social support, mostly because the organisation does not have enough funds to take more than 10 at a time.